A member of UCRWG’s Communications Team and Grants Committee, Samantha is a California native who fell in love with Grand Lake, relocating to the area to work for the Chamber of Commerce. She possesses a BA in Women’s Studies from University of California Riverside and a Master of Public Policy from Pepperdine University, with an emphasis on Environmental Policy & Local Government. 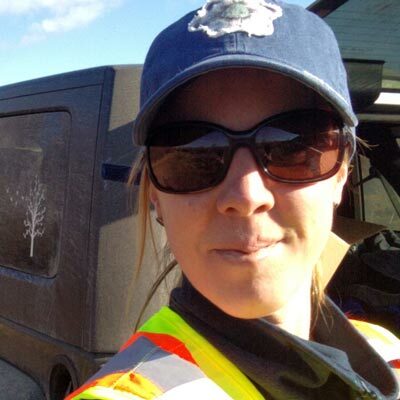 Samantha’s past work experience includes work in local government & business relations and environmental policy. She is currently the Vice President of Grand County Pet Pals and happily lives in Grand Lake with her husband Shawn, their son Sawyer, and their three dogs and cat. Her local favorite activities include horseback riding, canoeing, Nordic skiing, hiking and rafting. Mandy Cluck moved to Grand Lake in 2004 from Tulsa, Oklahoma after graduating from Oklahoma State University with degrees in wildlife ecology and music. 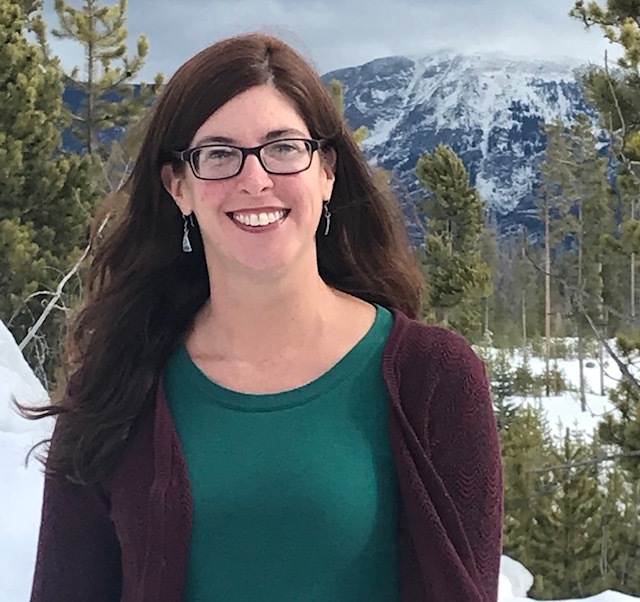 She has assisted with several wildlife and plant research projects, as well as wetland restoration projects throughout the county, and worked as a naturalist for Rocky Mountain National Park for 8 years before being hired full-time with the Grand Lake Metropolitan Recreation District as the Nordic Center manager and Summer Hiking and Mountain Biking Trails manager. Her interests include anything to do with the outdoors and performing flute and piano with various local musical groups. A member of UCRWG’s Communications Team and Technical Team, Krystal relocated to Grand Lake from Minnesota in 2015. She holds a Bachelor’s degree in Business Administration with an emphasis in Marketing from Bemidji State University. 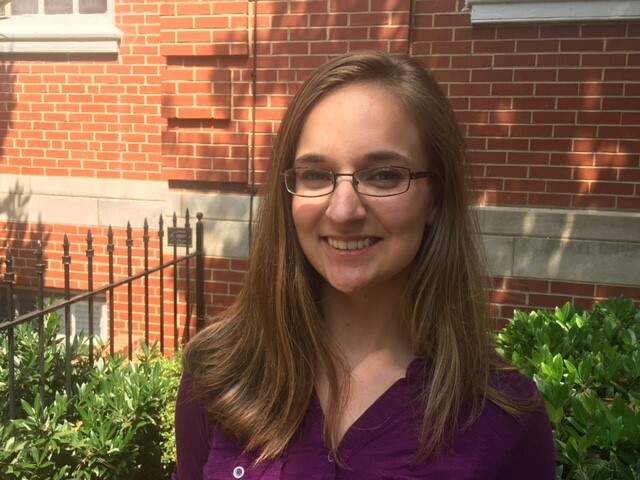 She recently spent a year with Americorps Partnership to End Homelessness in Greensboro North Carolina serving as the Volunteer Coordinator the Interactive Resource Center for individuals experiencing homelessness. Krystal is experienced in social media and online marketing, volunteer management, event coordination, and community engagement. Krystal lives in Grand Lake with her partner, Colin, and her feline friend, Chloe. Her favorite hobbies include hiking, camping, nordic skiing, snowshoeing and reading. Technical Project Manager. 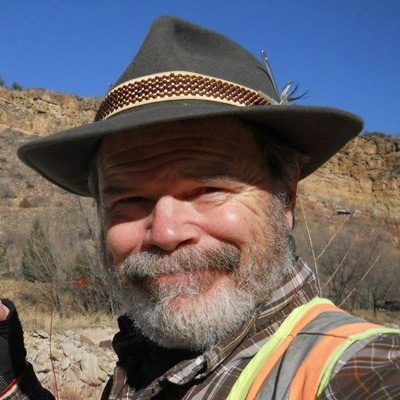 Geoff has over 30 years’ experience in natural resource management including hands-on field experience in over 200 projects in Grand County, mostly related to water. Projects range from planning, permitting, and construction oversight for utility projects, including water crossings and municipal water intakes, also docks and boathouses, trails and ski runs, and facilitating property transfers and conservation of land and water resources. He is particularly interested in restoring balance between streams and riparian ecosystems, including irrigated hay fields, with fish-friendly diversions and agriculture-friendly bank stabilization. With broad experience in hydrogeology, forestry, and the nuts and bolts of exercising Colorado Water Rights, he’s advising the UCRWG team on resource assessment and the feasibility of watershed projects including permitting and funding. Geoff and his wife Kate raised two boys in Grand Lake, both graduating from Middle Park High School. He is past President of the Grand Lake Rotary Club and now chairs the Education/WASH (Water, Sanitation, and Hygiene) Committee, has a BSc. in Earth Science and MSc. in Geology, and is a Certified Professional in Erosion and Sediment Control. Program Support. Ken has experience in environmental industry dating back to 1972. This includes experience in onshore and offshore habitats throughout the U.S. and South America, Asia, Africa, Middle East, and Israel. He specializes in problem solving on technical and regulatory issues. 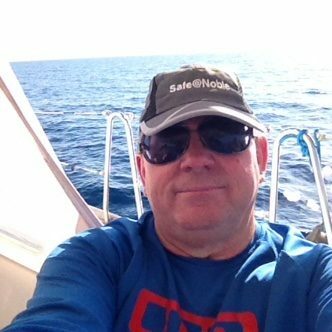 Ken also has management experience with HSE teams from diverse cultures and technical backgrounds. 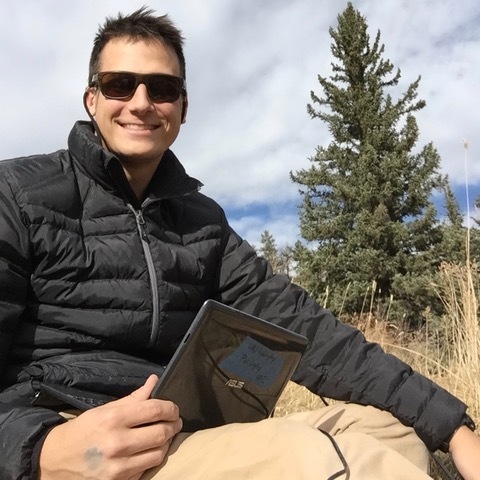 A member of the UCRWG Technical Team, Tyler is originally from Colorado and completed his undergraduate studies at Colorado State University in Watershed Science as well as Ecosystem Science and Sustainability. He began research with the U.S. Geological Survey Lochvale team where he completed year-round field collection of precipitation gauge data, ammonium capsules and water quality samples. The collection specialized in nitrogen deposition and eutrophication in high alpine lakes. Furthermore, Tyler progressed his laboratory techniques in the Natural Resource Ecology Lab where he analyzed the chemistry of water, air and soil samples from privately contracted clients. He finished his undergraduate research by exploring the biogeochemical processes of beaver-influenced mountain meadows in Rocky Mountain National Park. Tyler looks forward to a career related to high alpine mountain water restoration and sustainability. Former Program Manager and Lead Facilitator. Hillary is the Executive Director at Shadowcliff, a non-profit educational lodge and retreat center that’s been in Grand Lake since 1956. Hillary has a background in environmental education, group facilitation, and change management. 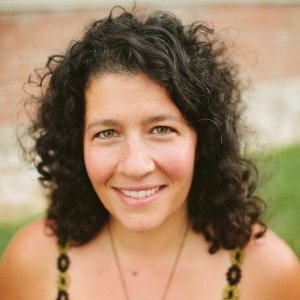 She has been involved in many burgeoning movements over the years as a key founding member, from the Sustainable Living Association to the Community Sustainability Advisory Board for the City of Golden to Mountain Sage Community School, and many more in between. She brings years of facilitation experience and a deep passion for true stakeholder engagement. You can learn more about Hillary at Shadowcliff.org and PriZmSustainability.com. Joy has worked for a variety of employers that have included the U.S. Forest Service, Delta Airlines, Back to Nature Wildlife Refuge, and the Youth Conservation Corps before returning to school. She obtained her BS from Oregon State University in 2015 in Fisheries and Wildlife Sciences. Her primary duties within the interim UCRWG include organizing local events, and coordinating the technical elements of the WaterSMART grant requirements. In her free time she enjoys spending time hiking, skiing, and snowboarding with her family and volunteering for various local organizations. Grand Environmental Services is a local Environmental Consultant Firm located in Grand Lake. They help clients manage land and water in the Colorado Highcountry offering services that include environmental and wetland permitting, construction oversight and monitoring, agricultural related services like headgate and ditch management, erosion control and bank stabilization to name a few. Grand Environmental Service’s primary duties within the interim UCRWG are to support the effort through the technical expertise offered by founder and owner, Geoff Elliott, and Business Manager, Joy Phelan. Shadowcliff is a not-for-profit lodge and retreat center in Grand Lake, CO with a mission of An eco-friendly mountain sanctuary where together we are creating a climate for a restorative world. As a part of the Grand Lake community for sixty years, Shadowcliff is naturally invested in Upper Colorado watershed resiliency and supporting community-driven efforts to uphold that. Shadowcliff is supporting UCRWG as the primary recipient of the WaterSMART grant used to fund this project and by the program management expertise of its executive director, Hillary Mizia.